Japanese tea ceremonies are also known as The Way of Tea and are well celebrated as one of the country’s most famous traditions. While Japanese tea ceremonies feature green tea and elegant ceremonial presentation, it seems the British way of serving black tea from a teapot with milk is just as intriguing to the Japanese as their traditional tea ceremony is to us. Interest in British tea in Japan is so high in fact, that we have been invited to take part in a very exciting British Fair in Osaka in Japan alongside our Japanese distributor Naoya Okada. We are delighted that one of our original carts is going to take centre stage as the main display at the fair and we even have the opportunity to teach visitors about British tea drinking and traditional doorstep delivery services which are almost unheard of in Japan. 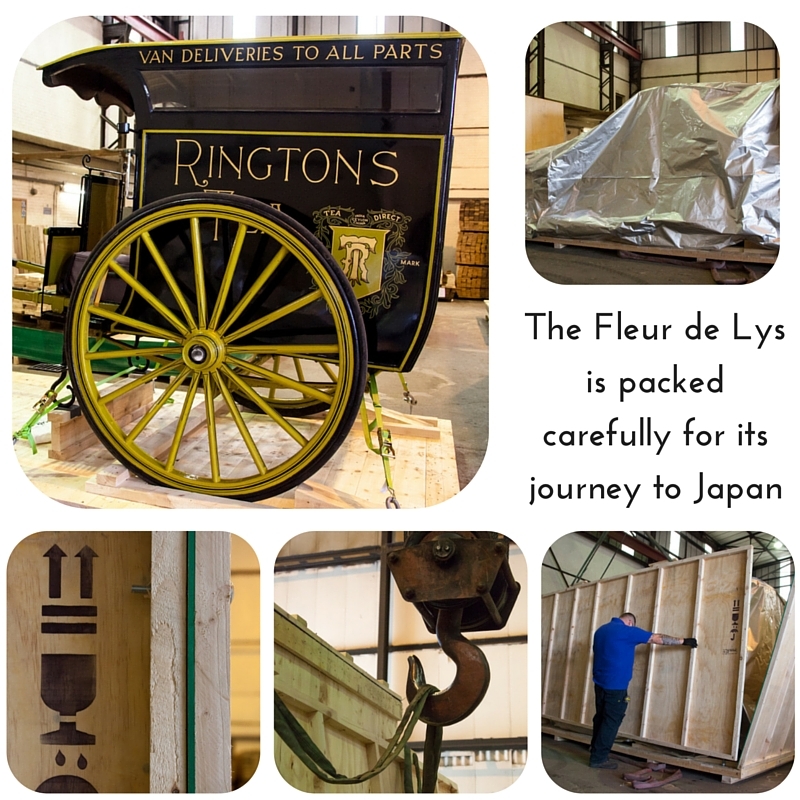 customers in the 1920s and is currently on a six week journey to Osaka in Japan to take its place at the Hankyu Department store fair. 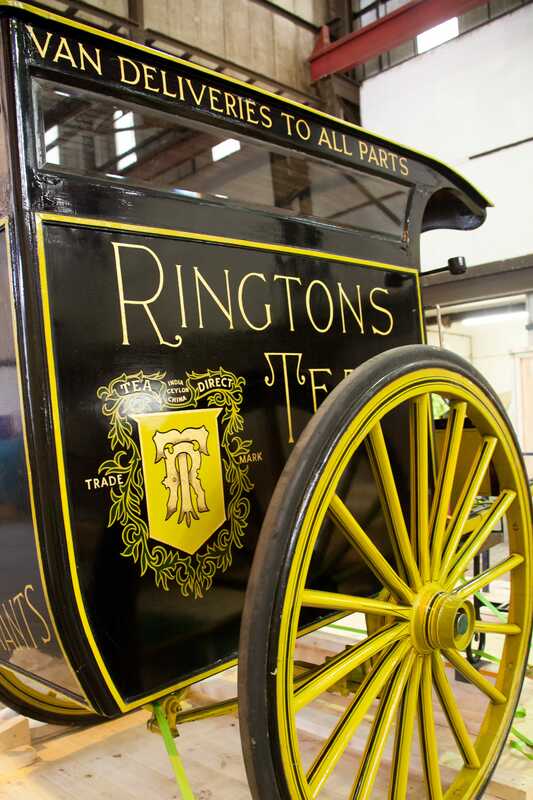 The Ringtons vehicle is the first to ever leave the UK, so a lot of planning went in to protecting the invaluable cart ahead of its epic sea journey, and once it arrives we’re even hooking it up to a replica 17-hand horse and donning our finest vintage ware to tell the true Ringtons story! 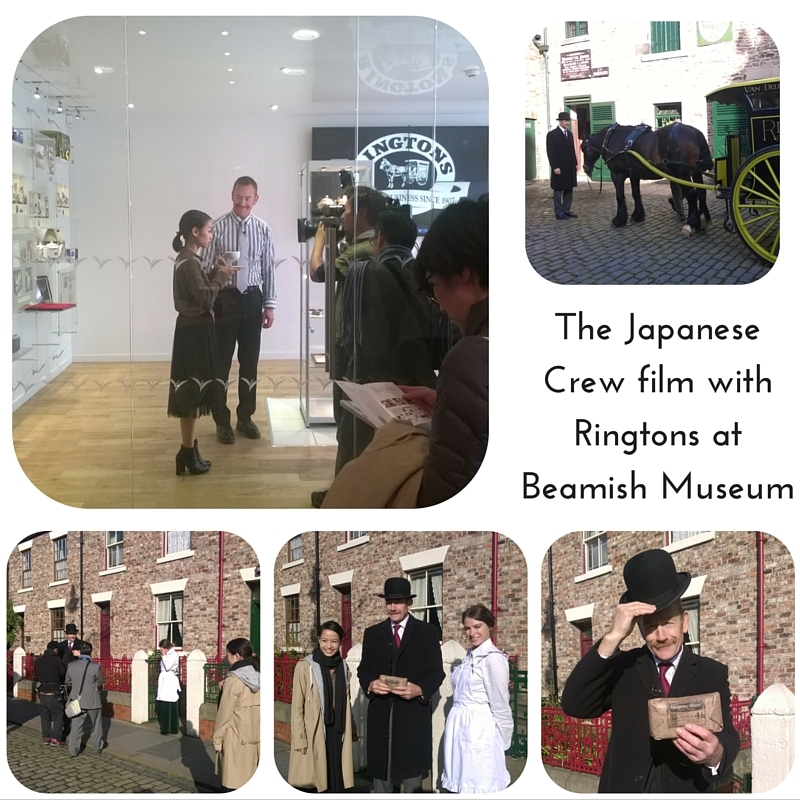 As well as attending the fair in Japan we recently took part in some filming with a Japanese crew who were in the UK to make a promotional video for the exhibition. The crew joined us at Ringtons HQ in Newcastle to try out some tea tasting, interview our CEO Simon Smith and even visit one of our longest standing customers, 100 year old Deborah, who has been a loyal Ringtonian for 70 years. With some help from our friends at Beamish Open Air Museum we even set up an original Ringtons cart with Prince the horse to recreate a delivery from the 1920s! It was fantastic to take part in such an exciting couple of days of filming and to see a horse and cart in the environment it would have originally been in. Our next stop is the British Fair in Osaka in October so keep an eye on the blog for a post-event update.